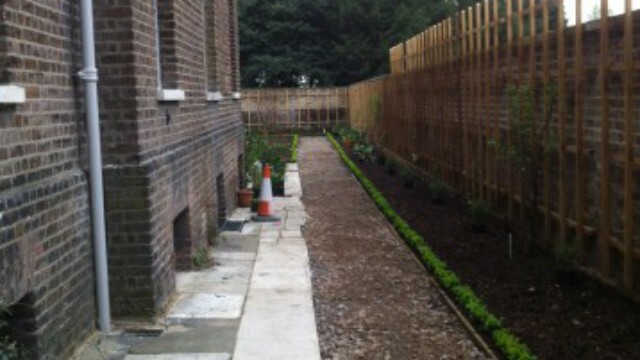 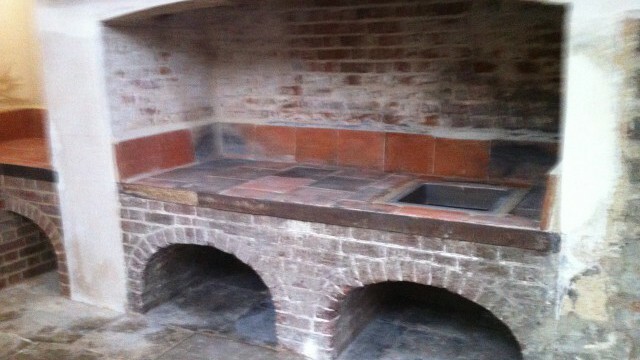 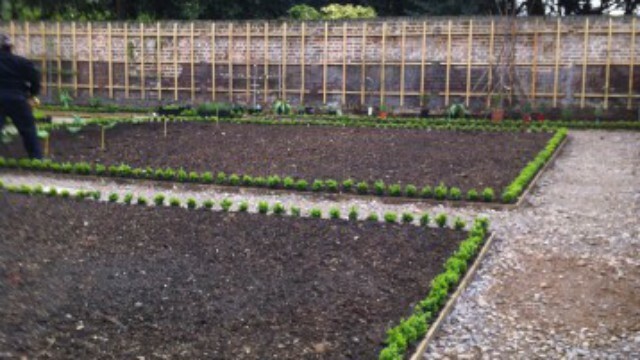 Restoration of this 18th Century kitchen: interiors, brick ovens and the kitchen exteriors including the walled gardens. 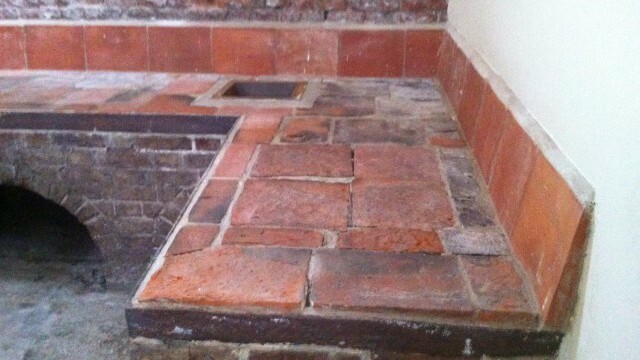 The chimneys behind the ovens hadn't been touched for 200 years, a testament to the original craftsmen. 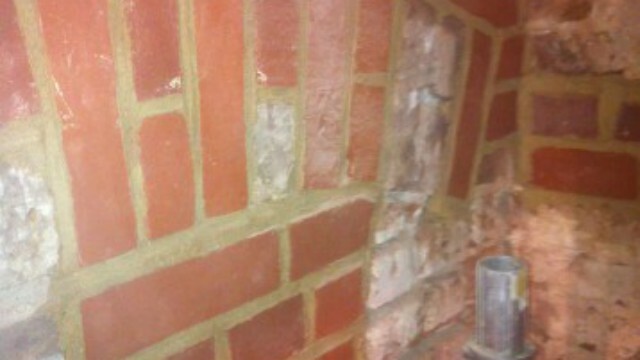 We removed the original brick, rebuilt the stacks from within and then replaced the original fascia bricks. 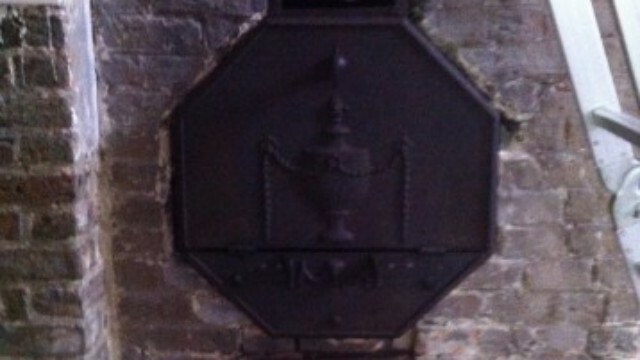 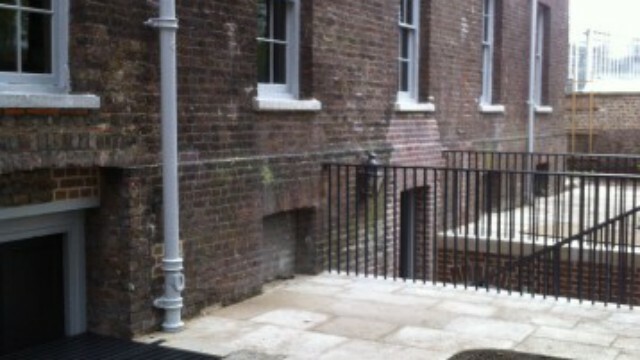 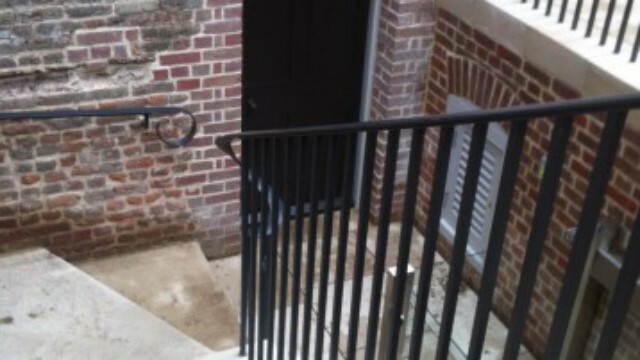 Only one of the original brick water heaters could be restored. 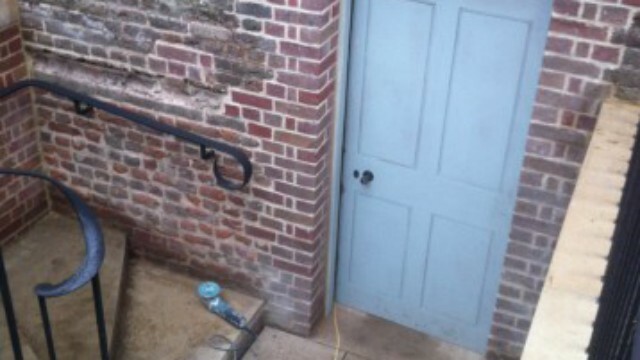 We built the second water heater to the exact original design and scale. 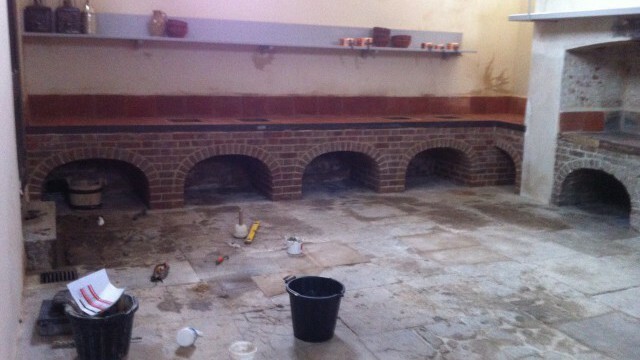 Short video of the kitchens prior to the restoration work. 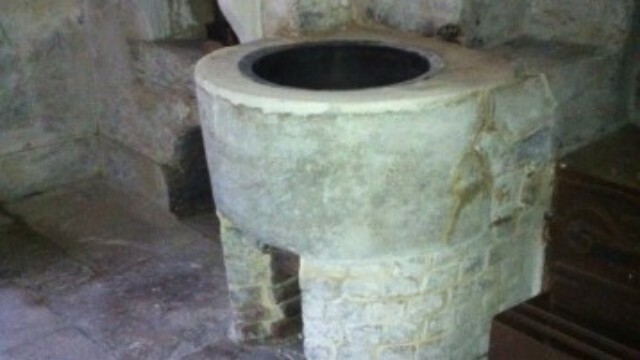 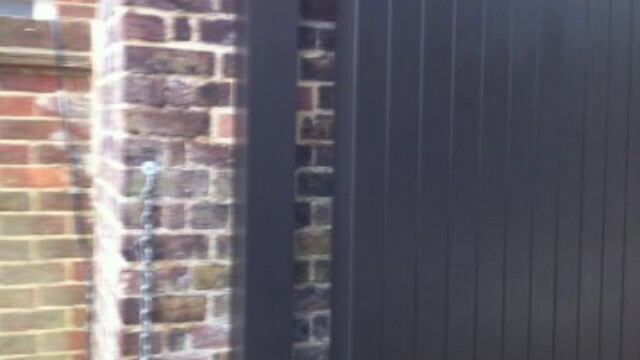 Also, visit the Historic Royal Palaces Kew Palace Kitchens page.